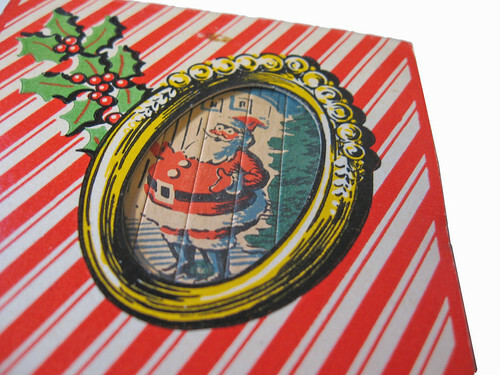 I got about 6 of these jumbo matchbooks at the Webfooters Postcard Show last April. 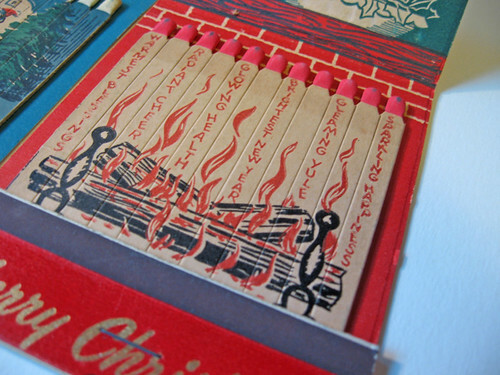 You may not be able to tell from the photos, but the matchbooks are 4.25" x 3.25". I had never seen anything like them before and all 6 that I got were in perfect condition with no matches missing. Right now I wanted to share the Christmas ones. I will post the other ones at another time. 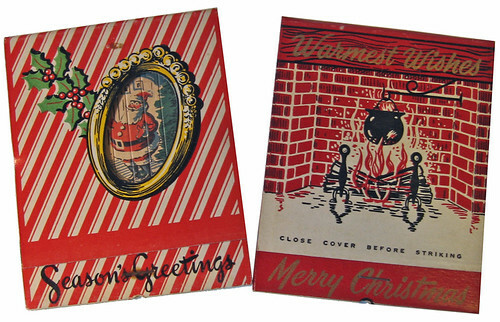 The Santa one has the name Gil Stuempel letter pressed on the back. A quick search shows me one listing for Gilbert Stuempel. He was born in 1906 and died in 1993. He lived in Southern California. The other matchbook was given by Edward V Bedney. I love the words on each match. A search on him finds also only one result. But, this is fascinating. The result is another collector site - The Universalist Ship Cancellation site. These people collect the cancellations of maritime letters. So close to what I do, but I know nothing about it and didn't even know a group like that existed. Wow, this entry took a little turn in the road. 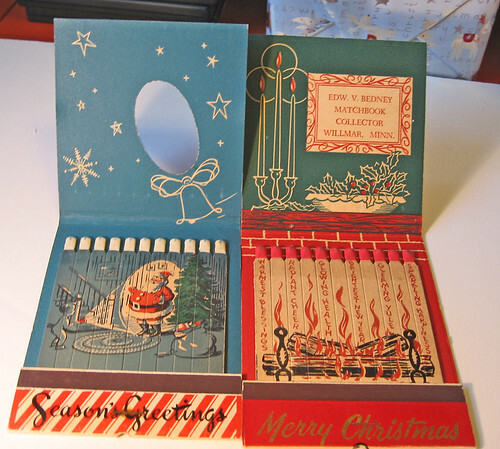 Instead of just sharing these really neat jumbo matchbooks, I have to remark on how interesting it is that this man, Edward V Bedney has lived on in history due to things that most people throw away. Although he may have died before the internet was common, he is still searchable and present because of ephemeral things and people who collect and document them. The internet is so amazing. How crazy that something he presumably sent and something her received would both be found by collectors, valued and posted online. These are awesomely great! Thank you very much for sharing these with the blogging (and flickering) public. I saw that you've set these pics on 'all rights reserved' on flickr, which is absolutely fine (I do this with my own photos too). If someone wanted to have permission to recommend them on their blog, should they take a screenshot of your flickr listing (Cafe Cartolina and The Red Thread already did it this way)? Though I think asking you for permission first, especially since you've clearly marked the pic 'all rights reserved' is the proper way to go, right? It's just so disappointing to see how people can't honour other people's wishes and can't take just one minute to ask for permission. With the antique stuff it it fine with me if they show it on their blog, as long as a link is added and credit is given. Please post back to my blog instead of my flickr account. Thanks for letting me know! how wonderful! I did not know such things existed. I have a matchbook with Kennedy's picture on it, but that is the extent to my matchbook collection! These are amazing. I never knew anything like this exited. thanks so much! 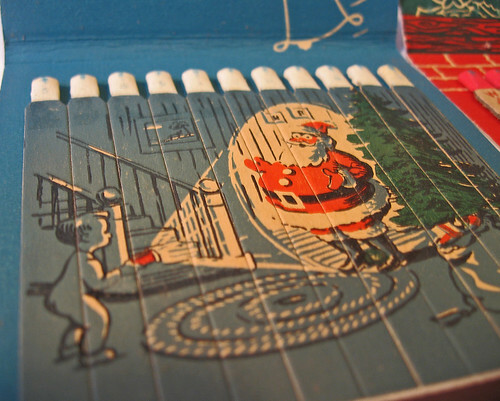 Hello- I am in possession of one of these jumbo vintage Holiday matchbooks not shown on your images (The inside shows part of Santa's sleigh on the top half and little snow-topped houses on the lower half printed on the matches.) I am considering selling it and wondering if you wouldn't mind sharing how much you paid for yours or if you may be interested in adding to your collection?